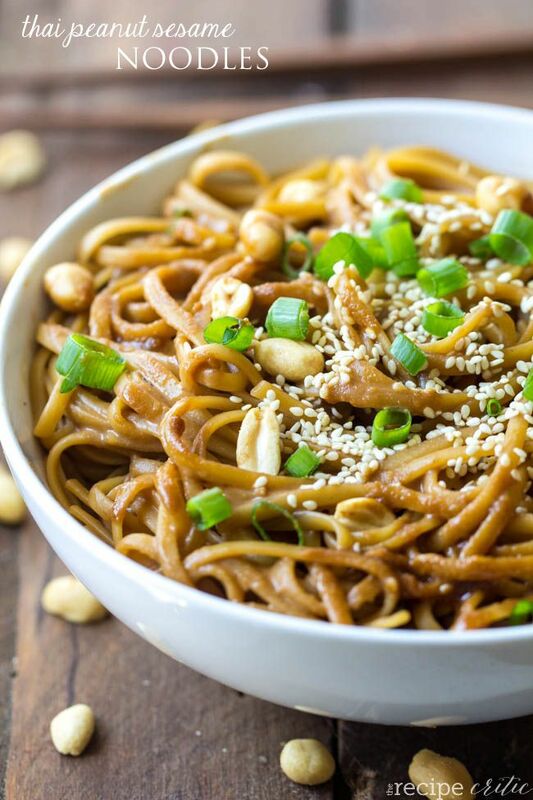 Thai Peanut Sesame Noodles…. 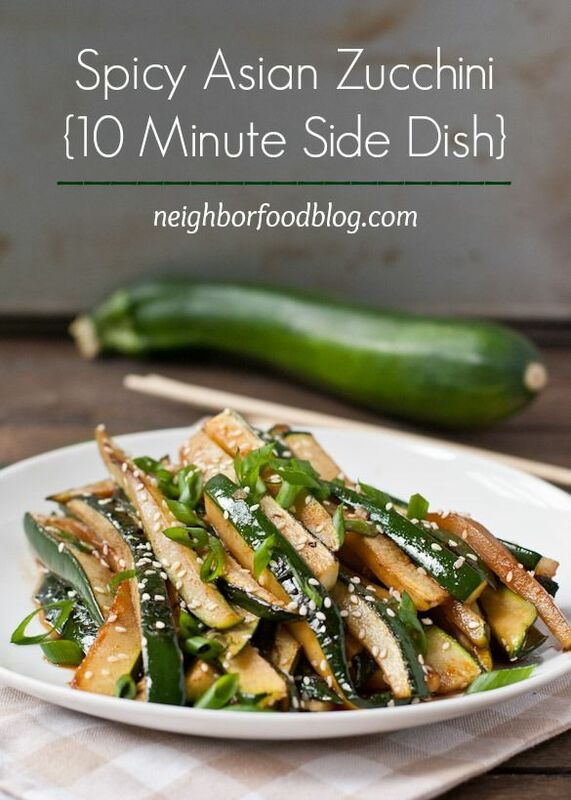 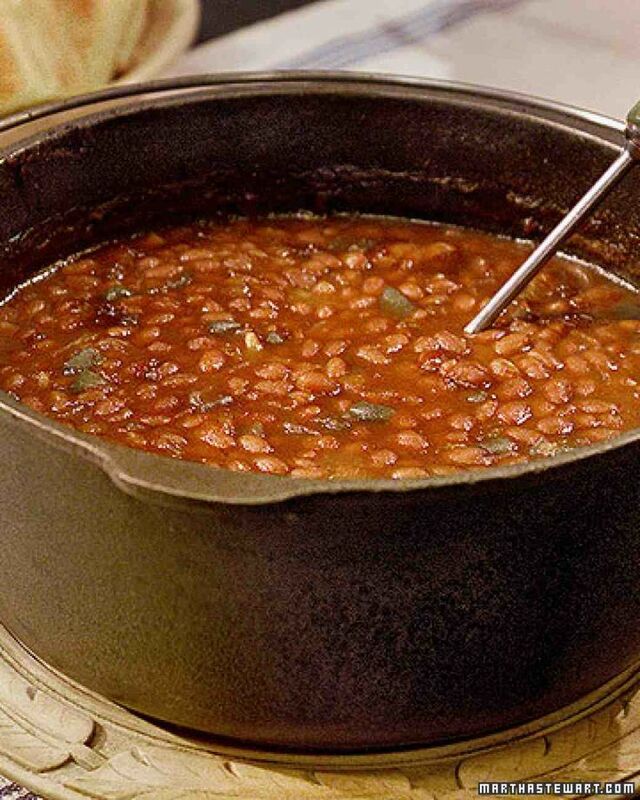 serve as is or add some extra veggies. 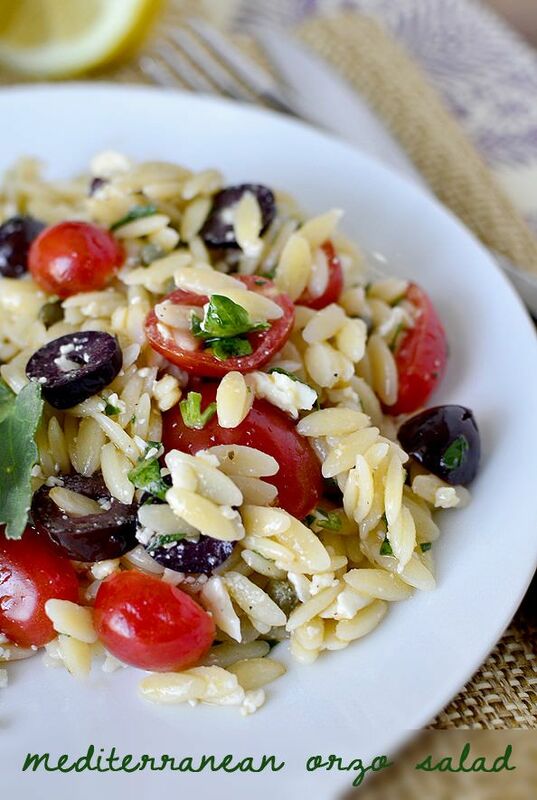 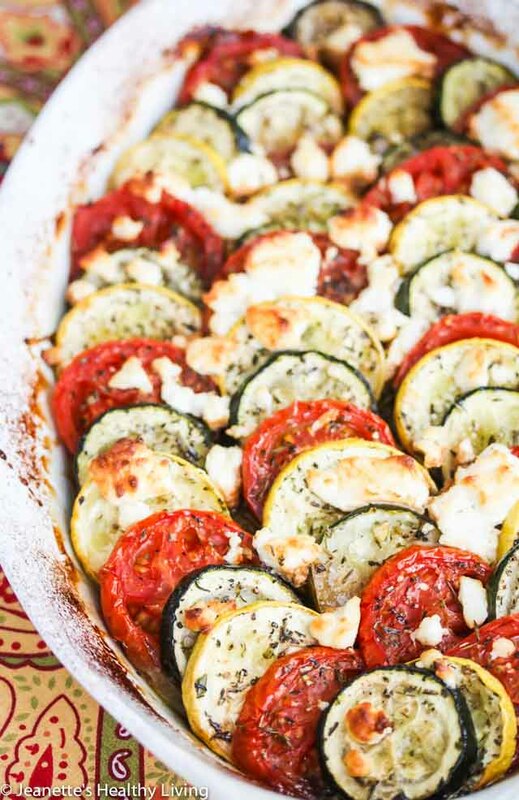 Mediterranean Orzo Salad – bring on the feta! 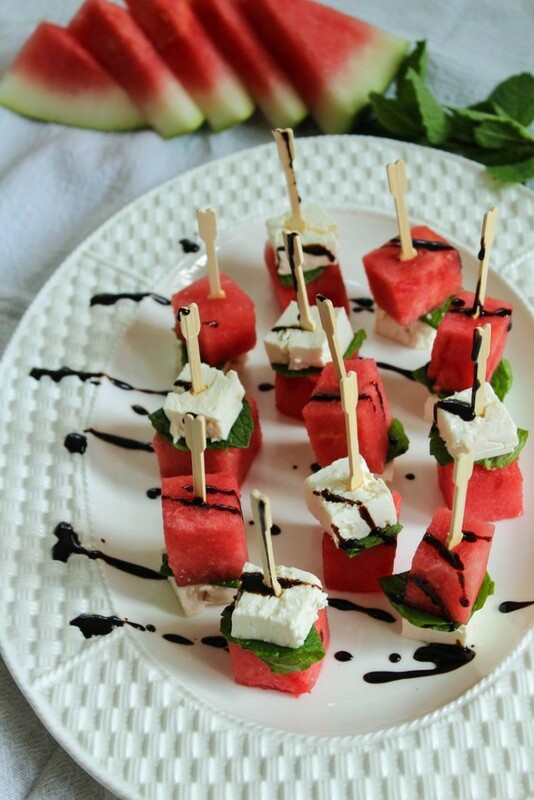 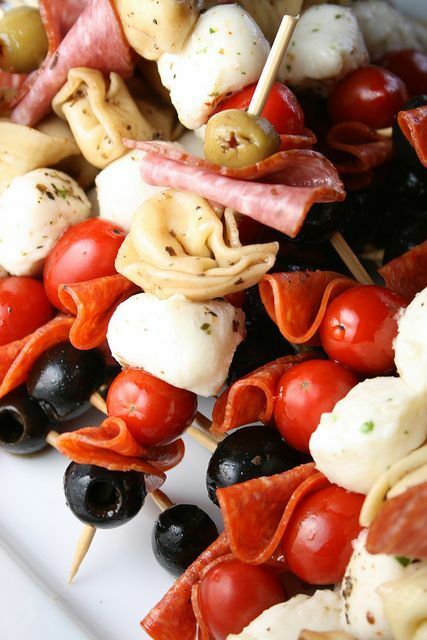 Make your antipasto easier to serve by creating these Antipasto Kabobs. 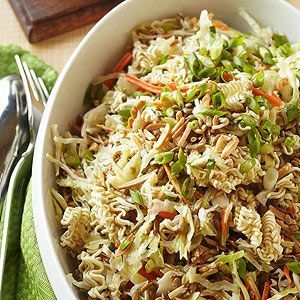 If you are a slaw lover, try this Oriental Coleslaw. 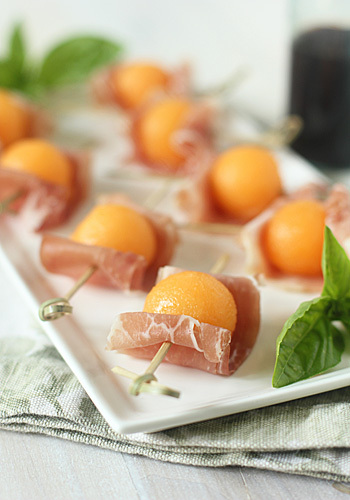 Add canned mandarin oranges for some added sweetness. 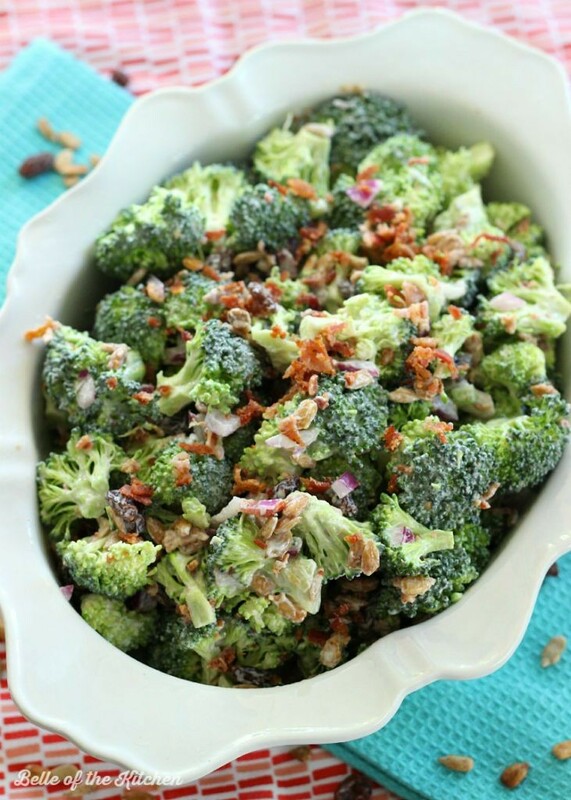 Skinny Broccoli Salad probably wont make you skinny but don’t let that prevent you from making it. 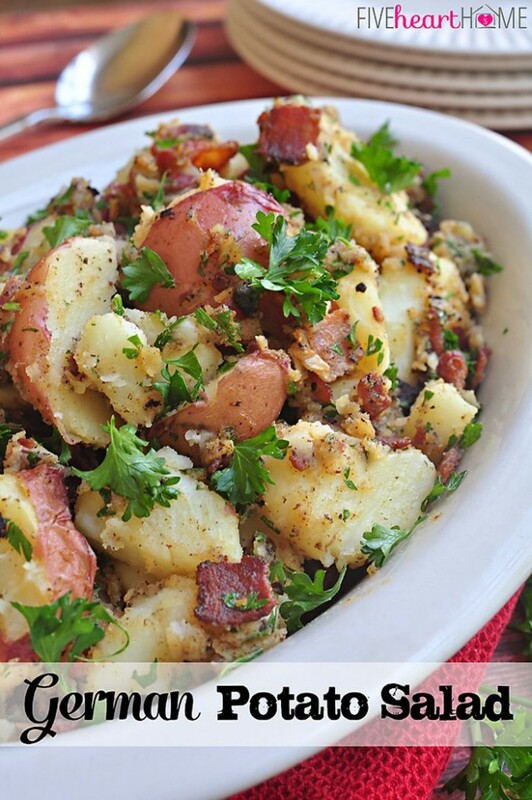 If you’re up for a twist on potato salad that will tempt you to wear a dirndl, try German Potato Salad. 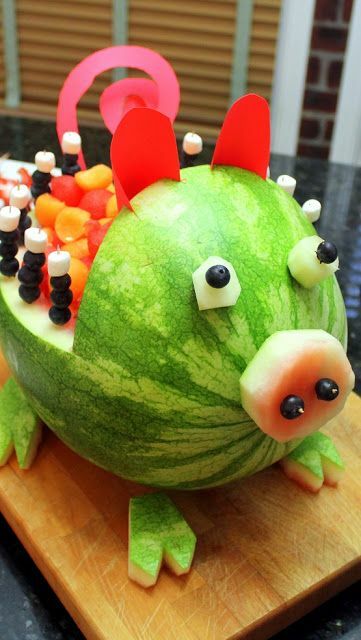 Lastly, enjoy watching guests pig out on a Watermelon and Cantaloupe Pig. 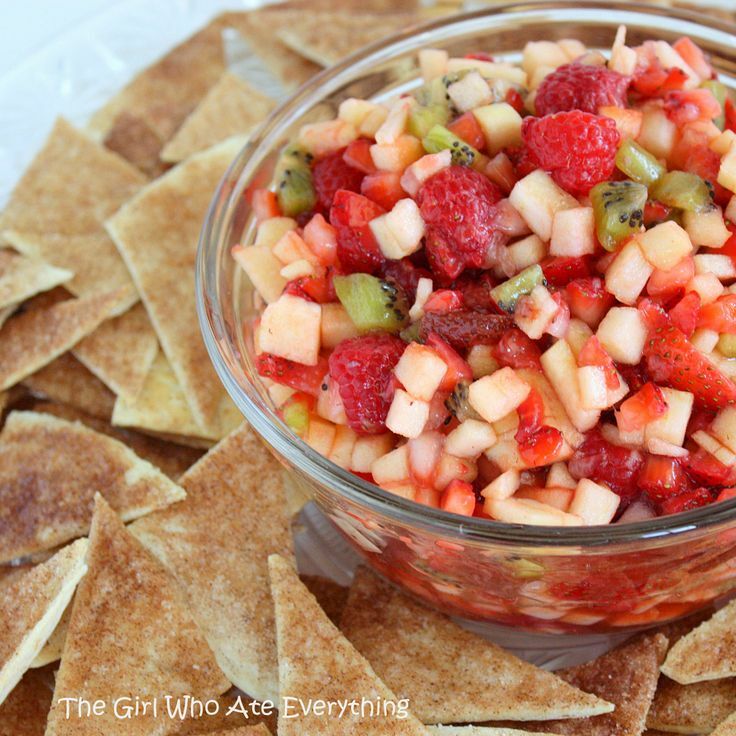 Next article Quick and Easy Strawberry Huller Wastes Nothing! 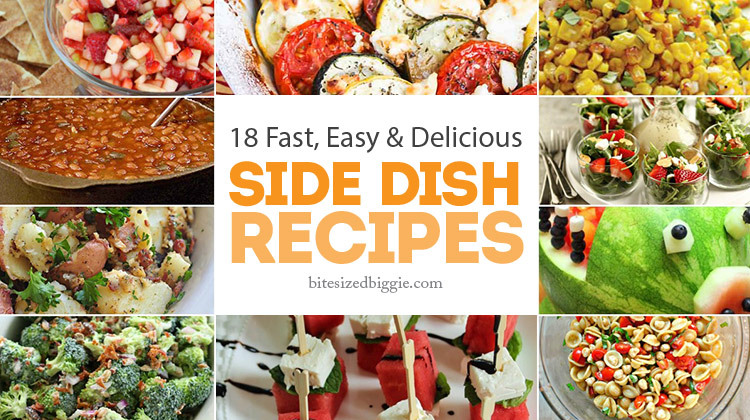 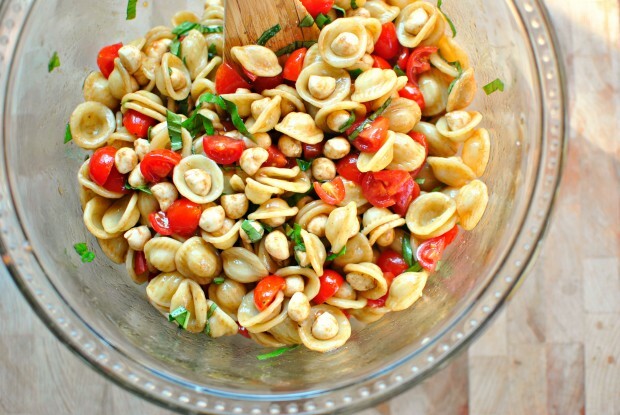 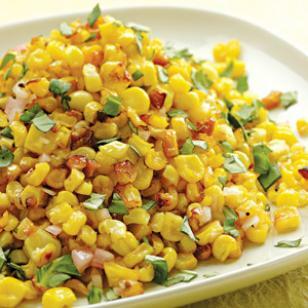 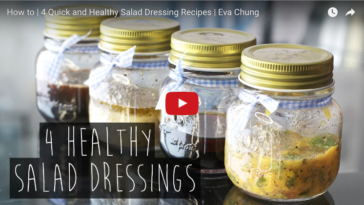 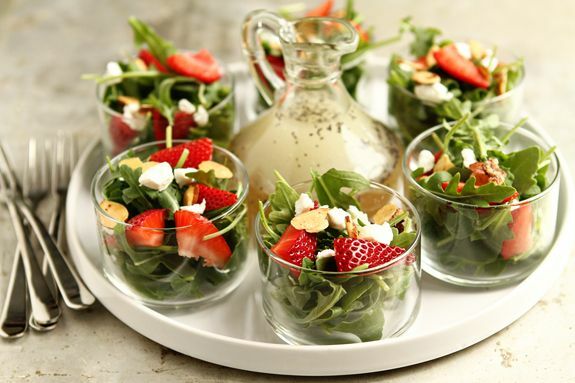 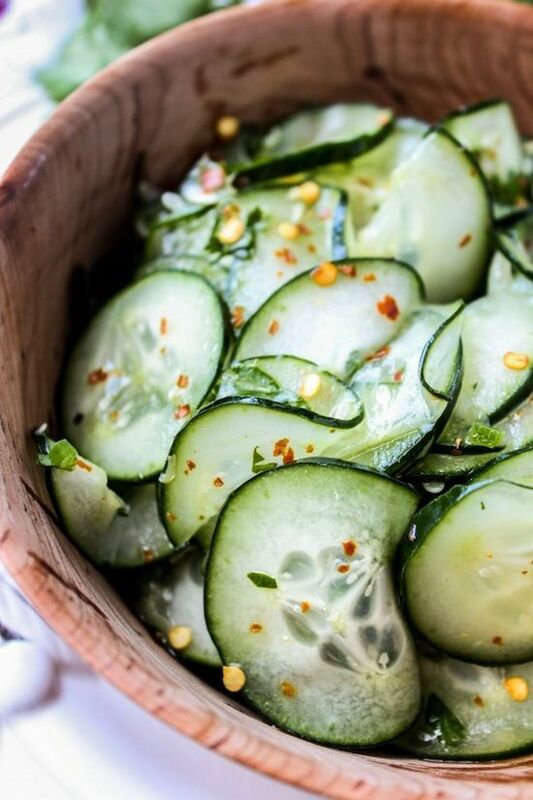 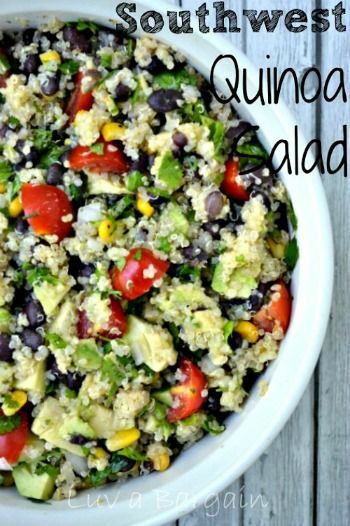 4 Simple and Delicious Salad Dressing Recipes that WOW!